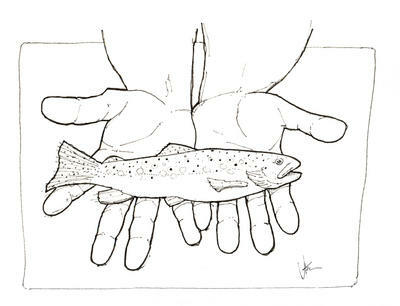 When I am not drawing, I would rather be fishing. Fly Fishing particularly. 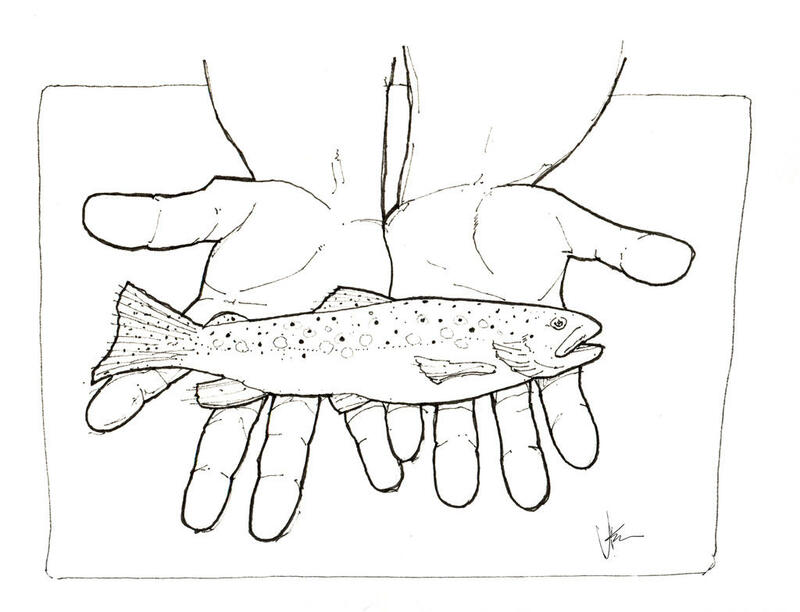 This is a quick sketch I did of my fishing buddy Corey holding a beautiful small brown trout caught in the spring creeks of Wisconsin. I am still amazed at how beautiful each caught trout is. Like small colorful gems. The next step is to add watercolor to this sketch. 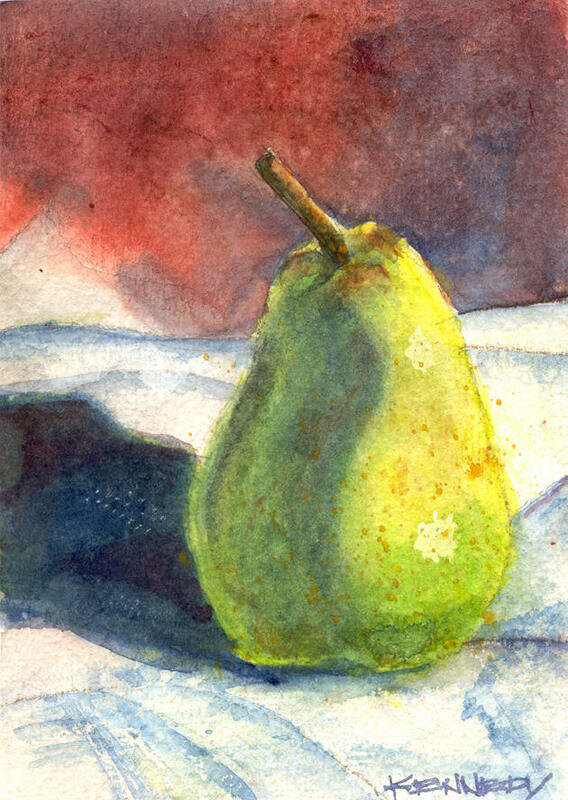 I produced this quick color study of a pear for a painting I am working on for my wife. I used this color study for a birthday card. Even though it was used as a study piece, it served another purpose in the form of a birthday card for my wife. 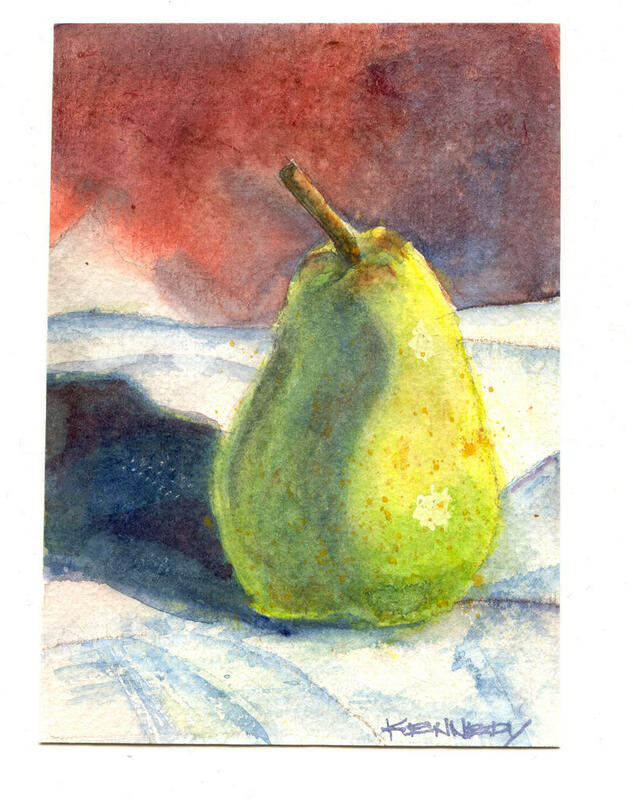 It is nice to know that this small quick watercolor can be appreciated.